The La Scala Cross Strap Seating Collection was inspired by the venerable opera house in Milan, Italy, from which the furniture takes its name. Tropitone and noted designer John Caldwell have created outdoor furniture that fuses the artistic heritage of the La Scala opera house with the timeless, old-world craftsmanship of Italy. Tropitone pioneered the technique of double-wrapping vinyl straps around the aluminum frame for extra durability exhibited by La Scala Cross Strap furniture. 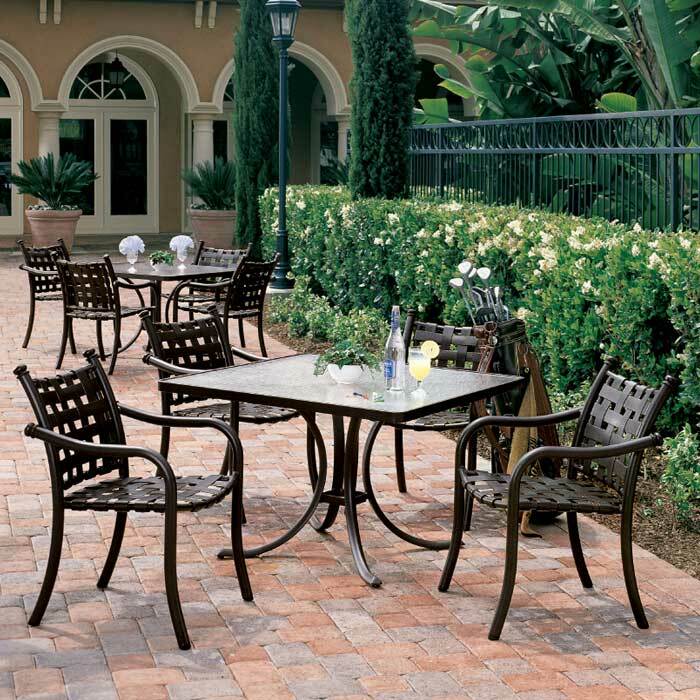 The patio furniture collection includes dining chairs, spa chairs, bar stools, and chaise lounges. La Scala chairs are crafted of durable powder-coated aluminum and made to be stacked for quick, easy storage.